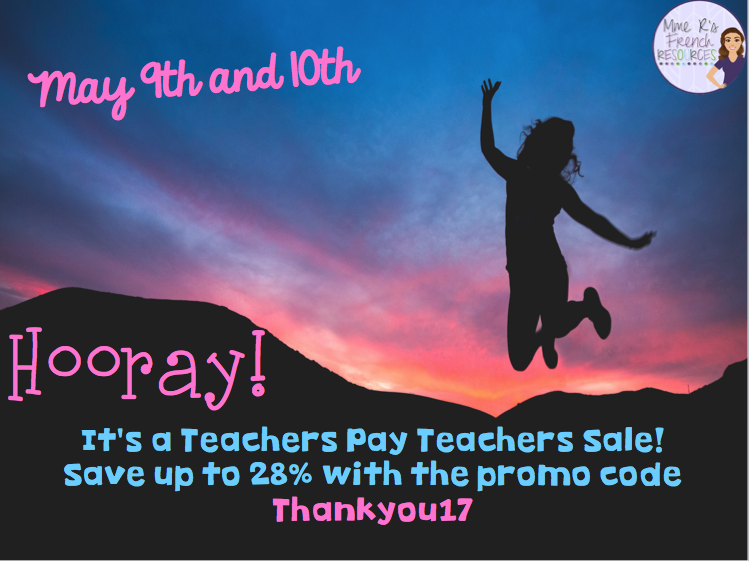 It’s Teacher Appreciation week and Teachers Pay Teachers is having a sale! Everything in my store will be 20% off, and with the promo code THANKYOU17, you can get 28% off everything in my store. Yes,that even includes bundles! So, start making your wishlist. It’s what I’m doing right now. 🙂 I buy so much clip art and I love new fonts, so I’m filling up my cart already. Other great ideas for this time of year? 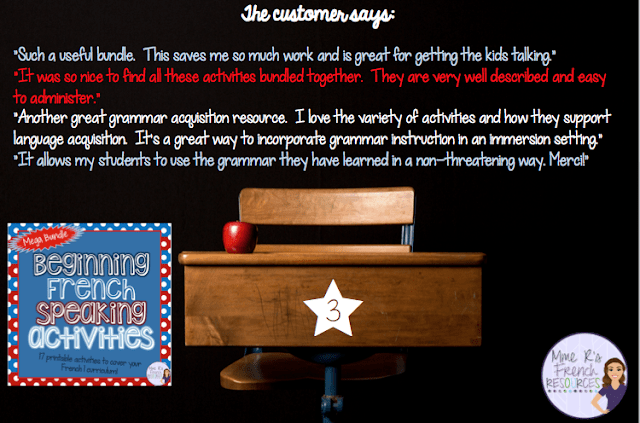 Year-end awards and back-to-school stuff. I know you’re looking towards summer, but what a great time to get organized and pick up some new stuff for next year, right? I thought I’d share the 3 most wish-listed items from my store. Not surprisingly, they are three of my top-sellers, too. If you don’t have them, check them out! Includes a Clothing Catalog, a Menu, a Weather Forecast, a Family Tree, and an All About Me project. All are in English and full-French versions. 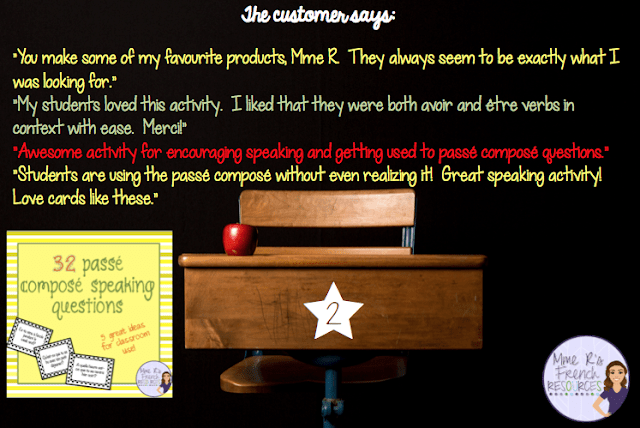 My speaking cards are a favorite of a lot of teachers, and this is my most popular set. You’ll find lots of fun ways to use these other than the 5 fun ideas I include, and the best part of the speaking cards is that students LOVE them! That makes encouraging speaking so much easier! Want to get your beginners speaking? 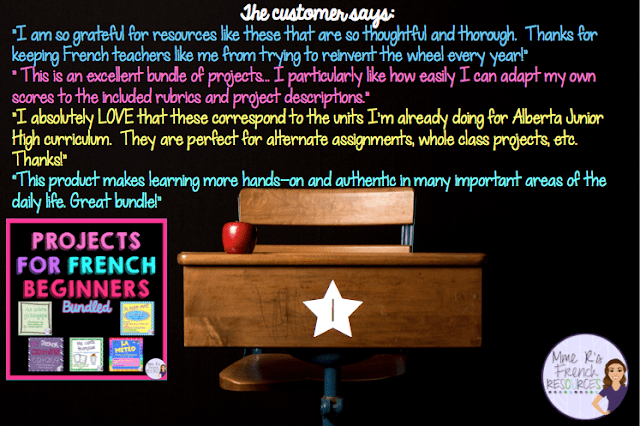 This bundle a year’s worth of resources for French 1! From Find Someone Who activities to speaking cards and partnered work, you’ll find a large variety of activities to get your beginners speaking early and often!